And I just couldn’t choose just one and I really feel I should mention ALL the posts, but 2 clearly stood out to me! Also I wanted to mention the unique post from Tracy with her post on Old Time Planting Lore it was interesting to read and made me smile because I remember my Pap and Gram always having interesting things to share and YES don’t we all wish we would have paid more attention and not wasted a minute with them.. Blessings and thanks…. Once you have shared your entry and checked out those shared by others, I would like to encourage you to visit my dear friend Kat who is hosting a Sunday Social where you will have the opportunity to link up as well. 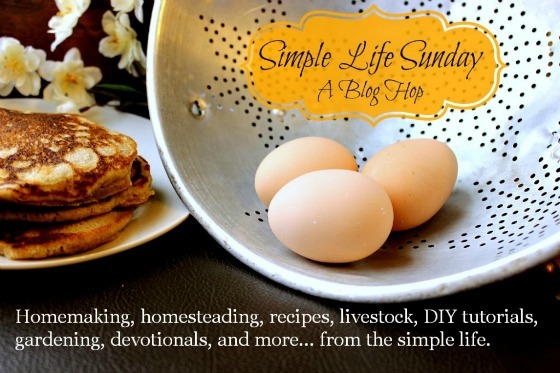 I think it is safe to say that all the ladies that host the Simple Life Sunday and the Sunday Social are feeling very driven to share God’s grace, our thankfulness, our happiness, our faith and to provide a place for others to join in too! I am glad my post on histamine reactions helped you! If you ever want to share, I would love to hear how you started suspecting histamine intolerance. Thank you for mentioning my article!